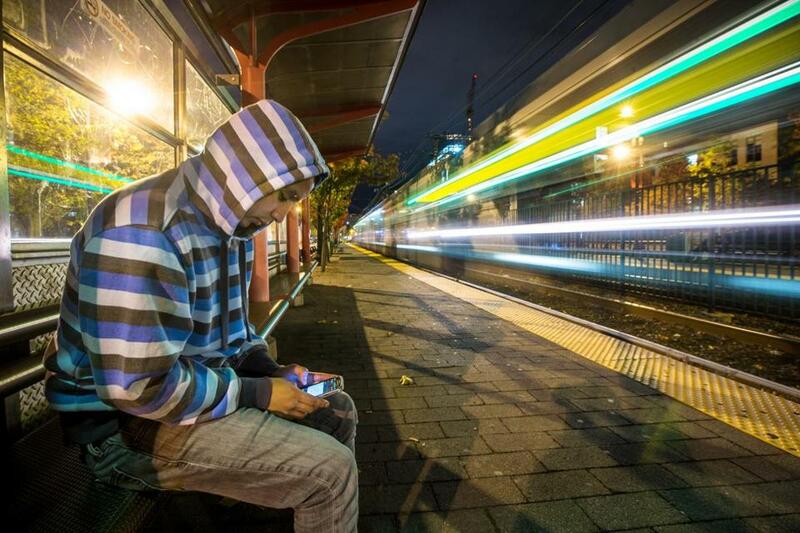 A student waited as the last outbound train passed Northeastern University. MBTA riders and some local businesses hailed news that the T plans to try late-night service next spring on trains and buses until 3 a.m. on weekends. But even amid exclamations of enthusiasm — “Finally!” “Yessssss! !” and “PRAISE THE LORD!” cropped up on Twitter — some people raised concerns about whether the program could be a success and questioned how the T will overcome the logistical challenges posed by keeping the trains running into times now scheduled for maintenance. Sean M. McCarthy, chief operating officer of the Massachusetts Bay Transportation Authority, said the one-year pilot program, which will cost the state $20 million and millions more in private funding, will require the T to hire 80 to 100 additional employees and bolster transit police presence. In the past, calls for later service on the subway — the T currently makes its last run at 12:30 a.m. — were rejected largely because the agency said it needs to repair an overtaxed infrastructure each day from 12:30 to 5 a.m. The MBTA has softened its objections, amid intense political pressure. “The secretary [of transportation] and the governor — more so than at any other time, at least in my career — made it a priority to get this done,” McCarthy said. Starting next spring, the T will run all subway trains and the 15 most popular bus routes until 3 a.m. on Saturday and Sunday. In the early 2000s, the T launched the Night Owl service, which used buses to ferry riders after 12:30 a.m. The service was canceled because of lackluster ridership, though many people believe it failed because it used buses, which were considered less appealing than the subway. It was only recently, McCarthy said, that transit administrators took another look, at the governor’s prodding, and decided that keeping the subway system open later on weekends was doable because most maintenance work is performed between early Monday morning to early Friday morning. Internally, there were concerns among some T staff that extending service on weekend nights could put too much pressure on maintenance workers. “There’s always something unexpected that comes up, because it’s an old system,” said a staff member who works for the track maintenance department and did not want to be named because the person was not authorized to speak to the media. The employee said that performing maintenance between 3 a.m. and 4:30 a.m., when work must be wrapped up to get the service on track for the next day, would hardly be enough time. “If you’re behind the first thing in the morning, the whole day is going to be behind,” the employee said. But McCarthy countered that not much maintenance is needed Friday and Saturday night. He also said he is aware that the extension of hours might have an effect on an overtaxed system but added he is hopeful the T will be able to operate without pushing the trains beyond their limit. Trains used for late-night service will be inspected more frequently, he said. Boston is one of the few major cities in the United States where service barely inches past midnight: transit systems in New York, Chicago, and parts of Philadelphia run 24 hours, while Washington, D.C., has weekend service until 3. The addition of the later service in Boston will put employers on better footing when it comes to recruiting, especially in the technology sector. Hopcroft, whose nonprofit trade association works to accelerate growth and innovation in the state, said the extended T hours would mean good things for the tech sector, an industry where unconventional hours are the norm and workers want to live car-free in the city’s urban center. “It gets us closer to that 21st-century transportation system we’ve been fighting for,” agreed Lizzi Weyant, advocacy director for Transportation for Massachusetts, a nonprofit that advocates for public transportation. Trains will leave each terminus at about 2:20 a.m., crossing through the downtown area at about 2:30 a.m., and concluding their route at about 3 a.m. After 1 a.m., trains will run every 10 to 15 minutes, and buses will run every 15 to 20 minutes. McCarthy said that T officials are hiring 80 to 100 additional employees to help . Hiring more employees instead of paying overtime is not necessarily cheaper, McCarthy said, but will make the service more reliable. Most of $20 million in state funding will go toward labor costs, though $230,000 is earmarked for marketing, including materials to be distributed at nightlife spots to inform people about their new option . MBTA spokesman Joe Pesaturo said the service would not be possible without the transportation finance legislation that passed last summer, which added a $1 tax to tobacco products and raised the gas tax by 3 cents and pegged it to inflation. 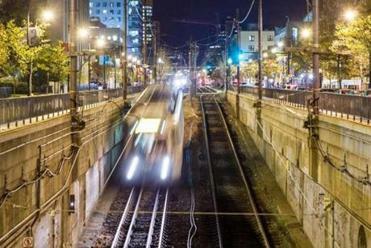 Stephanie Pollack, of Northeastern University’s Dukakis Center for Urban and Regional Policy, was glad to hear that the T is trying something new, but warned that extended hours may not be a slam dunk. Because of the significant cost, she said, it will take a lot of ridership to ensure that extended service is cost-effective. If ridership is not robust, she said, transit officials should be prepared to switch from running trains to instead using buses for the one-year pilot. Kirstie Pecci, staff attorney at MassPIRG, a nonprofit advocacy group, said the service will not just be important for tech workers and late-night partiers — shift workers in the restaurant and hospitality industries will be able to take advantage as well, she said. Paul D. Craney, executive director of the Massachusetts Fiscal Alliance, an organization that seeks to curb state taxation, thinks the service is important but wishes government leaders had found a way to pay for it without demanding more money from taxpayers. “Constantly asking taxpayers to pay more for programs that routinely run in the red is unsustainable,” Craney said.